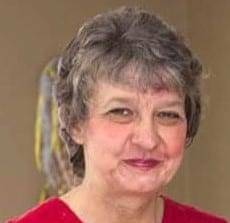 Susan M. Myers-Hootman, 61 years, of Ney, passed away Saturday evening, December 1, 2018 at Brookview Healthcare Center, Defiance, with her family at her side. Susan was born on September 15, 1957, in Defiance County, Ohio, the daughter of the late Cyrill and Hazel (Champion) Myers. She was a 1975 graduate of Fairview High School. She married Jerald A. Hootman on February 6, 1989 in Defiance, Ohio, and he survives. Susan was a Receiving Clerk for Lowe’s for 23 years, retiring in 2014. Susan attended Family Christian Center in Defiance. She enjoyed baking and cooking. She treasured the times she could invest in her family and spending time with them making memories. Be the first to comment on "Susan Myers-Hootman (1957-2018)"